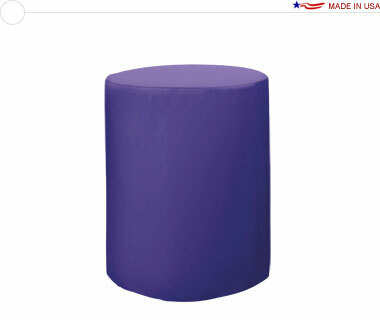 A round table cover available in 13 fabric colors. Sized to fit a 42″ tall, 31½″ diameter round table. Fits our Showgoer™ • Bar Height Round Table perfectly! The flat shipping rate for this package is $23.80 USD for standard delivery within the continental United States. Alternative shipping methods and International shipments are available; please contact for a quote.